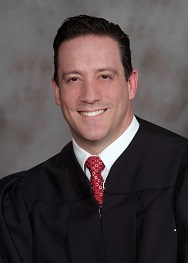 Judge Michael W. Rickett was born and raised in Wayne County, Ohio. He is a 1996 graduate of Wooster High School where he played on the soccer and lacrosse teams. In 2000, he received his Bachelor's Degree from Wheaton College (IL) and his Juris Doctorate Degree from The University of Akron School of Law in 2004. From 2004-2005, Michael served as a Federal Law Clerk for The Honorable Randolph Baxter (Ret. ), Chief Judge of The United States Bankruptcy Court for the Northern District of Ohio. Michael previously served for nearly 12 years as a criminal prosecutor having tried over 40 felony jury trials. From 2006-2011, he was employed as an Assistant Prosecuting Attorney for the Summit County Prosecutor's Office in both the Juvenile and Felony Divisions. From 2011-2012, he served in the Wayne County Prosecutor's Office as the Juvenile Division Supervisor where he prosecuted Abuse, Neglect and Dependency cases, as well as Delinquency matters. From 2012-2016, Michael again worked for the Summit County Prosecutor's Office Felony Division. In 2016, he returned to the Wayne County Prosecutor's Office as the Chief Criminal Prosecutor where he handled primarily felony cases. In addition to supervising the Felony and Misdemeanor Divisions of the Wayne County Prosecutor's Office, Michael served as the Law Enforcement Liaison where he provided legal advice and training to various departments in the County. He has also served as a Magistrate for Mount Eaton, Marshallville, Shreve and West Salem's Mayor's Courts. Michael is currently an Adjunct Instructor at The Ohio State University (ATI) where he teaches a course in Business Law. He has also served for over ten years as an Adjunct Professor at The University of Akron School of Law teaching Trial Advocacy I and II. 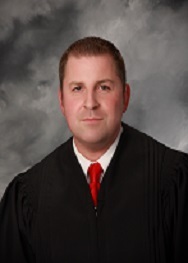 Judge Timothy R. VanSickle was born and raised in Wayne County, Ohio. After graduating from Triway Local Schools, Timothy attended the University of Akron where he graduated with a Bachelor of Science degree in Business Management. After completing college, Timothy attended the University of Akron School of Law where he graduated with a Juris Doctor degree. Timothy began his legal career as an Assistant Prosecuting Attorney in Montgomery County, Ohio. As an Assistant Prosecuting Attorney, Timothy worked in the Child Protection Unit where he represented Montgomery County Children Services and prosecuted juvenile offenders. In 2000, Timothy returned to Wayne County and entered private practice in the Orrville law firm of Kropf, Wagner, & VanSickle, LLP. While in private practice, Timothy also served as Orrville Law Director and Solicitor for the Villages of Dalton and Doylestown. In 2012, Timothy left private practice and accepted a position as Magistrate working in the Wayne County Juvenile Court. In April 2013, Timothy was appointed to the bench for Wayne County Municipal Court to replace retired Judge Mark C. Clark. Timothy has previously served his community through membership on the boards of the Orrville/Dalton YMCA, Orrville Area United Way, Salvation Army, Main Street Orrville, and the Wayne County Health Department. Timothy currently serves as an Elder at the Orrville Christian Church where he and his family attend church.